Does injury rate differ when playing football on artificial turf? Recent evidence on this issue has been provided by Ekstrand, Hagglund and Fuller from Linkoping University, Sweden and the University of Nottingham, UK. Twenty five elite teams (15 male and 5 female) playing on 3rd generation artificial turf were followed and their injury risk was compared with the risk when playing on grass. The results showed that injuries rate did not differ between artificial turf and grass for both men and women. Study has been published in the December 2011 issue of the Scandinavian Journal of Medicine & Science in Sports. Quercetin supplementation: does it enhance performance? 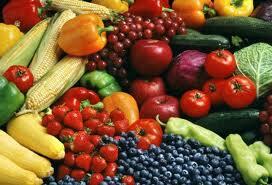 Quercetin is classified as a flavonoid, a substance found in considerable amounts in fruits and vegetables. Basic research has showed that quercetin may act as antioxidant and anti-inflammatory. Recently, two more roles of quercetin ingestion on human body have been investigated: 1) its biological role in alleviating the negative effects of intense training on immune system, 2) its effect in enhancing sports performance. Does quercetin supplementation enhance performance? Claims on the beneficial effect of quercetin supplementation in performance are based on the fact that quercetin has been shown to enhance the number of mitochondria in animal studies. Let me remind you that mitochondria are the main sites for aerobic energy production. What is the truth? Although studies showed elevated mitochondrial biogenesis with quercetin supplementation in animals, no such strong evidence exists in humans. Besides mitochondrial biogenesis, quercetin may also act with a mechanism similar to caffeine. Again, no such strong evidence exists in humans. Some studies have showed performance improvements after 1-3 weeks of quercetin supplementation in untrained subjects. However, most studies with elite and trained subjects failed to show improved performance with quercetin supplementation. One explanation might be that trained subjects have already maximized their mitochondrial aerobic capacity with training. To summarize, there is no strong evidence that quercetin supplementation enhances endurance performance in well-trained athletes. Can it be used as a means to prevent illness after intense training? Although evidence is limited in humans, it seems that quercetin supplementation can strengthen some aspects of the immune system and thus protect athletes from some illnesses during periods of intense training. Quercetin is available as a sports supplement claimed to enhance performance. Most studies involve supplementation with 1,000 mg daily, distributed in 2 doses. Typical supplementation period is 1-3 weeks but it may extend up to 6 weeks. · Kressler et al. Quercetin and endurance exercise capacity: a systematic review and meta-analysis. Med Sci Sports Exerc. 43:2396-2404, 2011. · Nieman et al. Quercetin reduces illness but not immune perturbations after intensive exercise. Med Sci Sports Exerc. 39:1561-9, 2007. · Nieman et al. Quercetin's influence on exercise performance and muscle mitochondrial biogenesis. Med Sci Sports Exerc. 42:338-45, 2010. · Rodriguez et al. American Dietetic Association; Dietitians of Canada; American College of Sports Medicine. Position of the American Dietetic Association, Dietitians of Canada, and the American College of Sports Medicine: Nutrition and athletic performance. J Am Diet Assoc. 109:509-27, 2009. Assisted or resisted sprint training? Which is the most effective in improving acceleration? In a recent study, Dr Upton from Texas Christian University evaluated the effect of a 4-week training program with assisted, resisted or traditional sprint training on performance indices. Athletes, female soccer players separated in 3 groups, performed 10 maximal effort sprints of 18.3 m (20yd) with their training program. Training was performed 3 times per week. Training program characteristics are shown in table 1. Table 1. Training program characteristics. Acceleration (0-4.6m) was improved by 19% in the ASSISTED Sprint Training group. No changes were observed in the other 2 groups. Although this study was in female soccer players, findings suggest that assisted sprint training is the most effective means, compared with resisted and traditional sprint training, to improve first steps speed. In my opinion, this type of training could be supplemented with plyometrics to maximize the benefits (http://georgenassis.blogspot.com/2011/10/effect-of-plyometric-training-on-first.html). This is the conclusion of a study published in this month issue of the Medicine & Science in Sports & Exercise by Rampinini and his colleagues. Twenty two 19 yr old professional players from an Italian Serie A team were tested for sprint, strength and short-passing ability before, immediately after, 24 h and 48 h post a 90min friendly match. Total distance (TD) and high intensity distance (HID) covered during the game were 11.764m and 2664m, respectively. TD and HID were lower in the 2nd than in the 1st half. The mean heart rate was 88% and 82,5% of maximal in the 1st and 2nd half, respectively. Legs maximum strength and 40m run time recovered to pre-game values in 48 h of recovery. Short-passing ability was not affected by fatigue and was similar immediately post-match compared with the pre-game values. 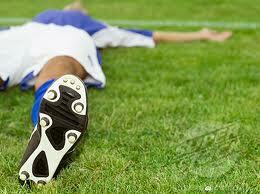 Match fatigue may not affect short-passing ability, at least in high-level players. Certain fitness parameters may return to pre-game values within 48 h after the match. This finding might indicate a faster recovery rate in young compared with adult players. I am not aware of such data in the literature and this is an interesting question for further investigation. Young high-level players may be ready for intense training 48 h after a game. High-level player of this age might be able to cope with 2 games per week. One more thing. We do not know whether there is a cumulative effect on fatigue with several games played every 3-4 days, as the authors also state in their paper. Are there regional differences in injury rate and severity in European top-level football teams? Walden and colleagues from Linkoping University, Sweden, investigated regional differences in injury incidence in men’s football teams in Europe. Their study was recently published in the Scandinavian Journal of Medicine and Science in Sports. A total of 26 top-level European football clubs were followed at various periods between 2001 and 2010. The different regions were categorized according to the climate type using an international climate classification system (Koppen-Geiger climate classification system). The clubs in the northern and southern Europe group included in this study appear below. Injury was defined as “any physical complaint sustained by a player that results from a football training or match and leads to the player being unable to participate in future football training or match play” (Walden et al., 2011). Overall, injury incidence was significantly higher for the northern group teams. Injury severity was also significantly higher for the northern group teams. Upper body, trunk and Achilles tendinopathy were more common in the northern group teams. No difference in injury rate was detected for hip/groin, thigh, knee and ankle. Anterior cruciate ligament (ACL) injuries rate was significantly higher in the southern group. The authors concluded that there were regional differences in injuries rate in top-level teams in Europe. The higher overall injury rate in northern group was attributed to several factors, such as tactics, playing style and playing intensity. One possible explanation for the higher ACL injury incidence in southern part clubs was higher shoe-surface traction because of the warm weather, according to the researchers. Previous studies have shown that maximum oxygen uptake (aerobic fitness) can be improved with high intensity interval running in football players. Running intensity should be 90-95% of maximum heart rate during this type of training and the bouts should last 4 minutes. Can we do the same while dribbling a soccer ball? In a study by McMillan et al (2005), 11 17-year old football players supplemented their regular football training with high intensity aerobic training for 10 weeks. Aerobic training consisted of 4 4-min high intensity periods by dribbling the ball in a football specific track. Heart rate was 90-95% of maximal during these periods. 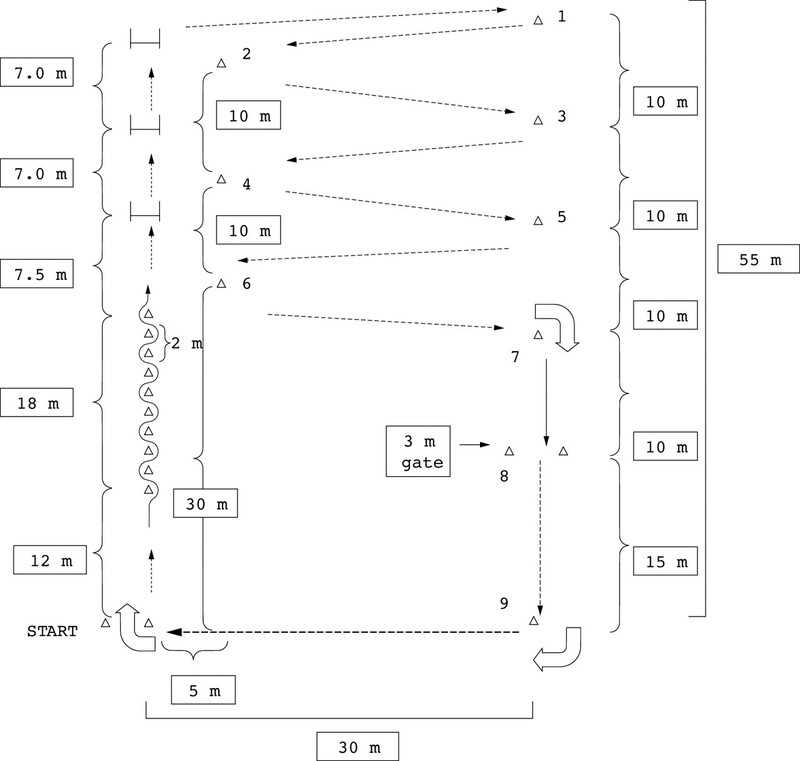 High intensity periods were separated by 3-min jogging at 70% of maximum heart rate. This training was performed 2 times a week at the end of the session. Figure. 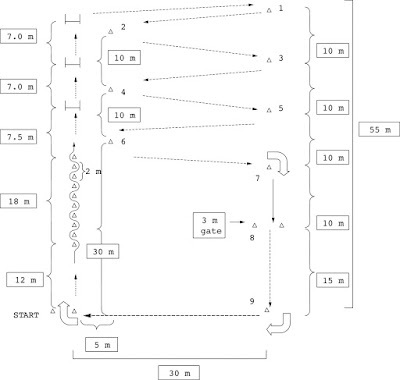 Soccer specific dribbling track used for high intensity interval training sessions (Chamari et al., BJSM 2005). Aerobic fitness improved by about 10% in these players. This is a big improvement considering the high initial value for maximum oxygen uptake in these players (63.4 ml/kg/min). It seems that maximum oxygen uptake can be improved with high intensity interval training while dribbling the ball in high level players. Heart rate should be 90-95% of maximum in this training and this requires high technical skills. Accordingly, I think that this is an effective training for high level players. 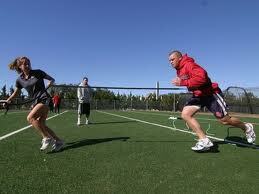 However, the effectiveness of this training in improving aerobic fitness in lower level players should be examined. McMillan et al (2005). Physiological adaptations to soccer specific endurance training in professional youth soccer players. Br J Sports Med 39(5): 273–277. As you may know, hamstring muscle injury is the most frequent one in football with its prevalence ranging from 12% to 16% of all injuries. 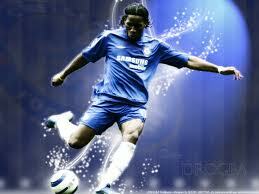 The incidence of this type of injury is 0.5-1.5 per 1000 hours of football match and training. It seems also that the risk of hamstring muscle injury re-occurrence is very high. Indeed, re-injury rate is around 22% within the next 2 months of the first injury. The majority of the prevention programs concentrate on the eccentric strengthening of the hamstring muscles. The Nordic hamstring exercise is a simple eccentric hamstring strength exercise that is being used in a number of prevention routines. However, there is a limited number of randomized controlled studies examining the effect of eccentric muscle strengthening on hamstring injury rate in football players. One such study was published in the November issue of the American Journal of Sports Medicine by Dr Petersen and colleagues (Petersen et al., 2011, pages 2296-2303). 942 professional and amateur football players were randomly allocated into 2 groups: the intervention and the control group. The intervention group trained with the Nordic hamstring exercise for 10 weeks whereas the control group followed only the regular team’s training. Eccentric strength training was performed once per week in the first week, 2 times in the 2nd week and 3 times per week for the weeks 3-10. The team coach decided on the time of these exercises in the training session. The mean injury registration period for these players was 318 days. It is possible to reduce the incidence of hamstring muscle injury in professional and amateur football players by supplementing their regular training with a simple exercise that focuses on increasing eccentric hamstring muscle strength. This training must be performed 1-3 times per week for a minimum of 10 weeks. Coaches decide on the time of this exercise in the training session. The Nordic exercise seems to be a safe method for improving muscle-specific strength.